Sorry for the inconvenience guys, but the coupon list won't be up until at least tomorrow. I've just not been well today at all. We did get 2 inserts: a Redplum and a Smartsource. Again, sorry for the inconvenience. I hope to be back in fighting shape tomorrow. Hope y'all had a great weekend and have a great start to the week. It's time yet again to pick 7 random polishes from my embarrassingly large nail polish collection, swatch them, and see which ones are dreams or duds. I picked this one up at Big Lots a few months ago for $1.50. A lot of people are finding this and other polishes from the line at their Dollar Trees for $1 over the past few weeks. The swatch above shows 2 coats with no top coat. The formula on this one was pretty good. It was a bit thicker than I prefer, but it is still very nice and manageable. The only downside that I see to this polish and others from the same line is that they tend to take a little longer to dry than a lot of other polishes. I got this beauty in an awesome friend swap that I did on my youtube channel with Frumpette on a Budget. I had never seen this particular shade in my area stores. So, I was really thankful to have it. The normal retail for these is $1.99. This polish was a true diamond in the rough. I didn't expect much, but I was blown away. This is definitely one of my new favorite polishes ever. It dries fast, goes on smoothly, and presents zero problems. Yes!!!! 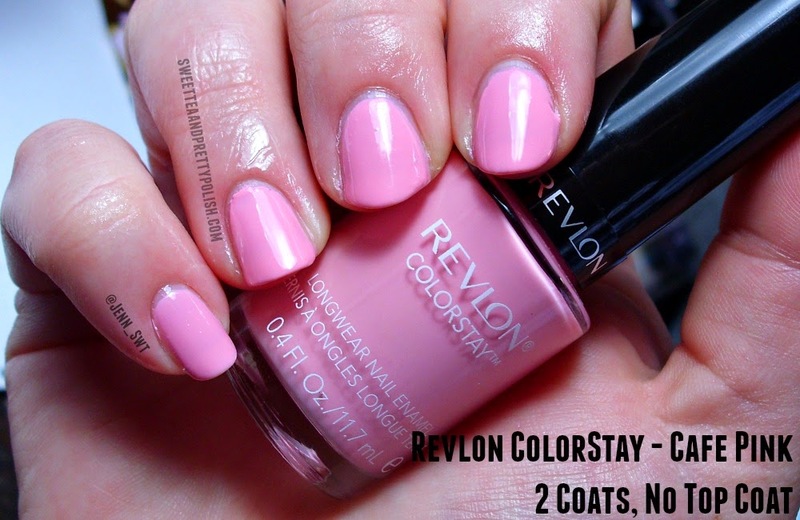 The swatch above shows 2 coats with no top coat. I picked this one up at Walmart for $1.50 on clearance. The regular retail is $4.00 for these polishes. I had good expectations for this one, because the price is high for the amount of polish that you get. This polish seriously has Julep syndrome. Haha! There is only .26 fl oz of product which is equivalent to a mini polish. So, you can understand why my standards for this one were high. Luckily, this polish turned out to be quite awesome. The formula was an absolute dream. It is seriously one of the best I've encountered in awhile. It went on so quick and effortlessly. 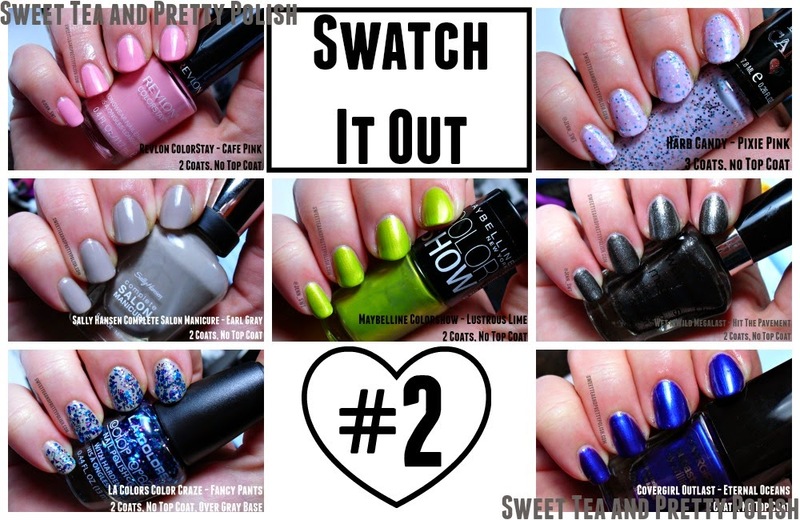 The swatch above shows 3 coats with no top coat. I picked this polish up at Big Lots last summer for $1.00. Dollar Tree has also been carrying quite a few of the polishes in this line for $1.00 as well. This polish kind of has a funny story. I was watching Scents and Cents' channel on youtube one day, and I noticed the polish she was wearing. It turns out that it was this one, and that I had had it in my collection for weeks and never even swatched it. This is one of the gems from the Colorshow line. I always get at least a week of wear out of it. It's just so fun and vibrant which no white base required. The swatch above shows 2 coats with no top coat. I picked this guy up at CVS for 75% off when they were doing their semi-annual clearance event. So, I got it for around $1.50-$2.00. Lots of polishes in this line are showing up at Big Lots for a $1.00 as well. Let's be real. I'm a tea junkie and Earl Gray is one of my favorite teas. I would have bought it based on name alone. Haha! 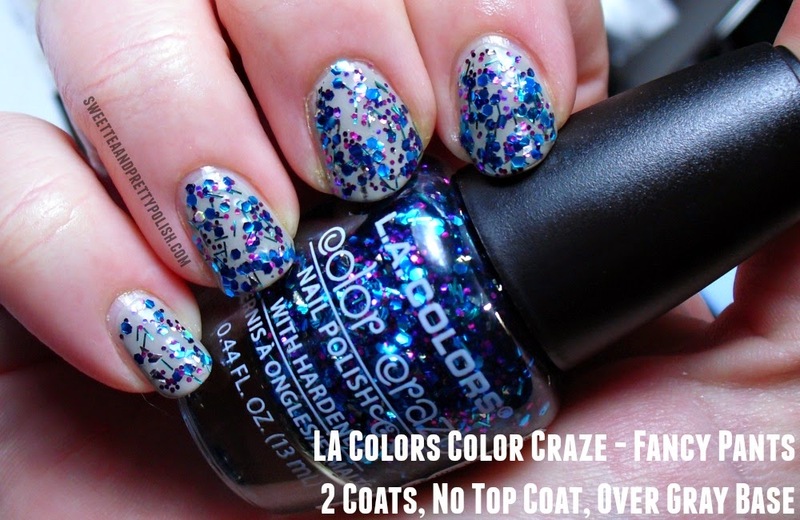 This polish is another dream one. 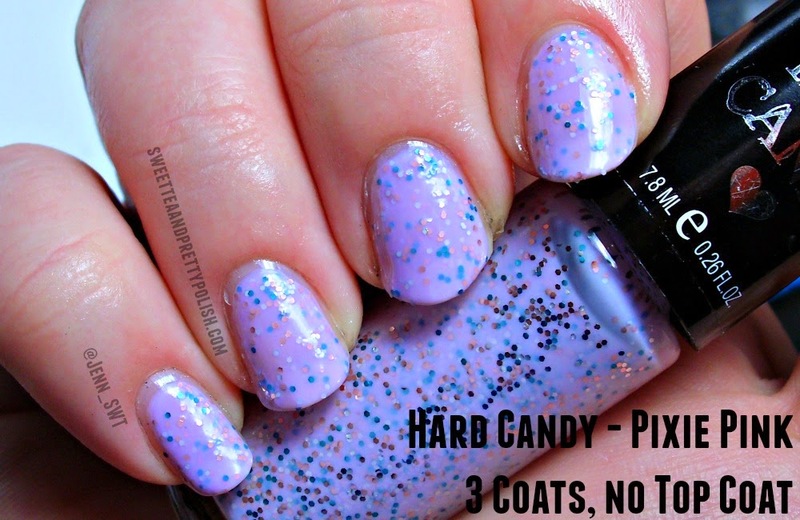 It just has a wonderful formula that just glides on the nail. 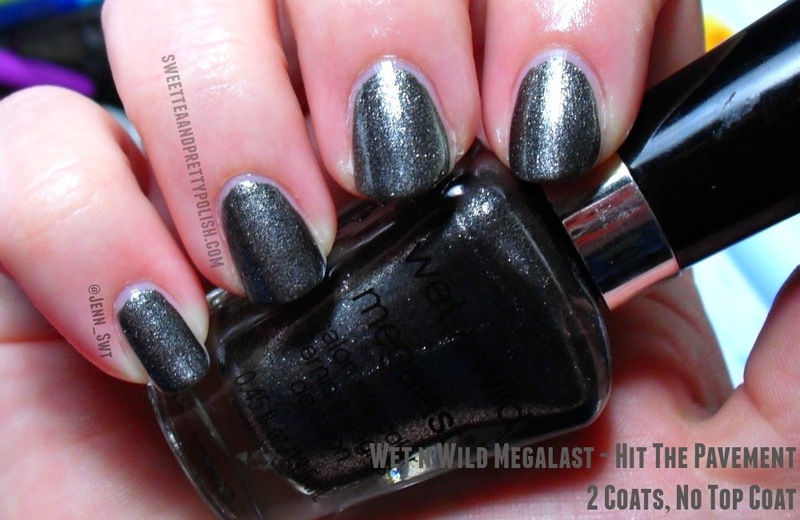 It is opaque in 2 coats as shown above and just...yes! All the yeses!! Yes! I picked this one up at Dollar Tree recently for $1.00. I believe it may be a newer color to the line or at least new to Dollar Tree for the spring. I pretty much stalk the LA Colors display, and I have never seen it before. This one was pretty good. I got a ton of glitter without having to fish or do any specific placement. What you see in the swatch above is 2 coats of me just using what was on the brush. The base was also pretty good and not overly goopy. I picked this one up at Big Lots recently for $1.50. 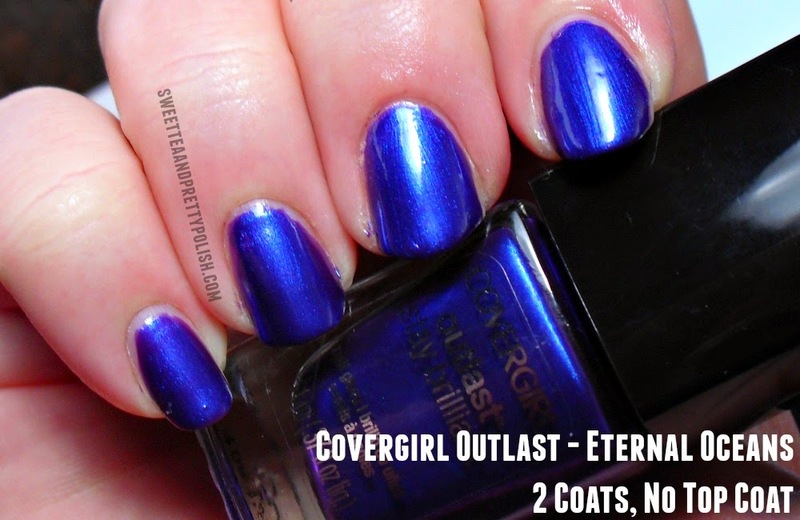 They had a lot of Covergirl polishes that they were putting out. So if you really like this line, keep you eyes peeled for sure. This one won me over despite the fact that I am not a fan of deep purples. I am a lavender girl through and through. This one is just so flipping gorgeous that I just couldn't help but became enamoured. This one is almost a one coater. I did have some extremely mild streaking. So, I went ahead and did a second one. If I would have made the first coat a bit thicker, it would have been sufficient. I think this is the most gorgeous purple that I own now. 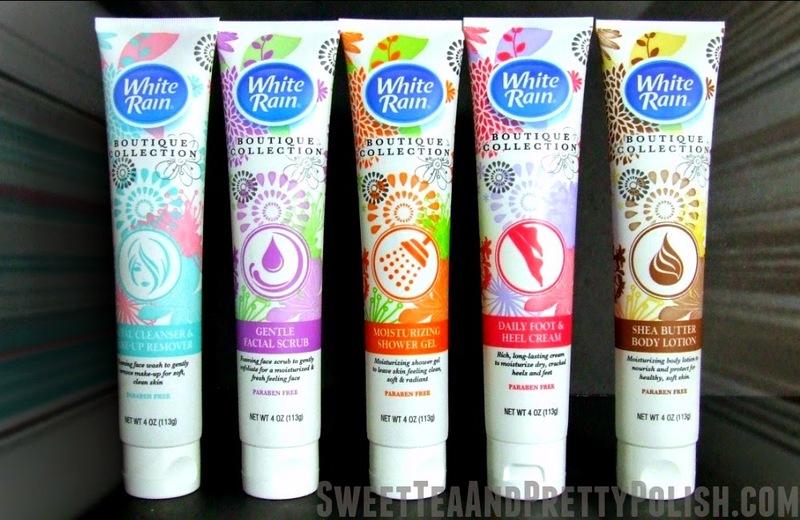 Today I am reviewing the White Rain Boutique Collection that I picked up at my local Dollar Tree for $1.00 each. I have been using these daily for about 2 weeks now and feel like I can give y'all my opinion on them. So, which ones are worth your dollar, and which ones are better left on the shelf? This is definitely the dud of the group. It barely had any exfoliating pieces in it, and the ones that were in there were large and smooth. So, no exfoliating happened at all no matter how harder I scrubbed. It also dried my skin out a lot to the point where my cheeks were itchy. I would never repurchase this or ever think it's worth a dollar. This one is probably my favorite of the group as far as the product goes. I'm not too happy about the price of it. A dollar for only 4oz of body wash is a lot. That being said, the product is pretty great. It is also mentholated which helps to wake you up and gives your skin a tingling sensation. I will thoroughly enjoy using it up, but I probably won't repurchase unless I have a coupon. When I think of heel cream, I think of a thick, rich, and emollient product. It needs to be some serious stuff to really work on a person's heels. This stuff is pretty thin. It did okay for the less problem areas of my feet, but it didn't do anything for my heels at all. It just wasn't thick enough or something. I did use it in conjunction with a thicker product with some success. It is a decent foot lotion, but it is definitely not a heel cream unless you already have perfect and soft foot model heels. This stuff is pretty good especially for the price point. It is moisturizing and absorbs very quickly. It doesn't have much of a fragrance. It is definitely one of the best lotions that I have picked up from the Dollar Tree. I put it on the same level as the Suave Advanced Therapy that you can get for $1.00 on sale for 2oz. So, this one is a winner for me. Another thing that I wanted to mention about this product line that is fabulous is that they are paraben free. I think that is just brilliant especially given the price point. It makes you wonder why the higher priced brands continue to load their products with them when more and more paraben free options are popping up in bargain stores. Food for thought. I am not a dermatologist, beautician, or anything of the sort. I am a just a picky customer that likes to get her money's worth and is not afraid to share her opinion. I bought everything with my own money. Like I have said, I am not cool enough to be paid for this stuff. Haha! As with all my nail art tutorials, this design doesn't require any nail art tools or special skills. It works with any color of polish that you may have on hand, and it can be tweaked slightly to create a multitude of designs. In fact, the only things that you will need is a base coat, a top coat, 3 different color polishes, some tape, and a toothpick. I hope you enjoyed the tutorial. Remember nail art doesn't always have to take hours or be super complicated. 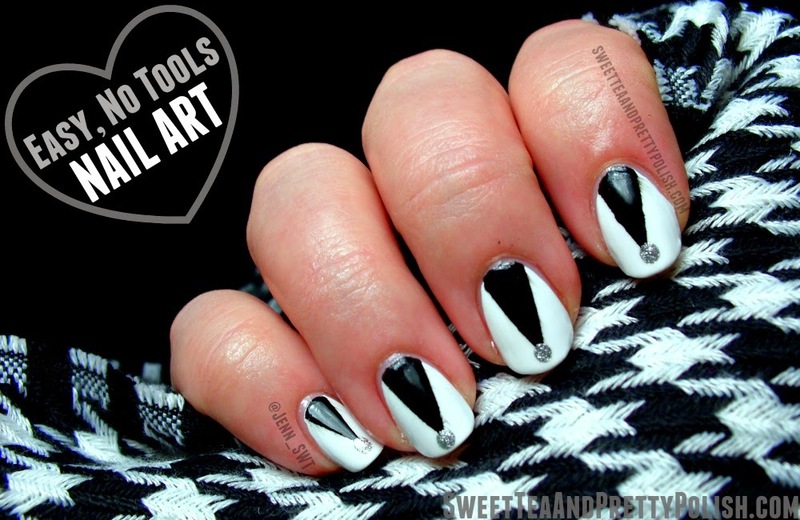 There are awesome designs that you can achieve without any prior knowledge, and you also don't have to go out and buy a bunch of nail art tools. You can make an eye-catching manicure using things that you may have around your home or that can be picked up at your local discount store.